When selling your home during the winter, you benefit from typically less homes on the market. In addition to lower inventory, the market will be filled with more serious buyers who are prepared to make a purchasing decision. Make a great first impression. It is important to keep your home easy for potential buyers to access and inviting once they step inside the front door. Most importantly, keep snow and ice cleared on your driveway and the sidewalks approaching the front door. Curb appeal is trickier with dormant grass, snow and the lack of color from flowers and plant materials. Make sure your front door gives an instant “welcome home” impression with a great paint color, a beautiful wreath and welcoming doormat. Be inviting. When you begin staging the inside of your home for buyers, think of it as welcoming them to your home as guests at a party. Make sure your thermostat is set to a warm temperature so potential buyers feel comfortable. 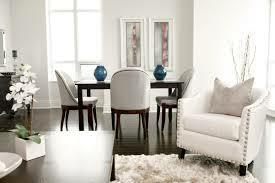 Consider setting the formal dining room table with place settings and glasses, a nice centerpiece and flatware. Add some color with fresh flowers in the kitchen and make sure there’s a pleasant aroma within your home. You may not have time for a plate of freshly baked chocolate chip cookies, but popular candle scents are cinnamon, apple pie or cider and vanilla. Keep it simple, though…and limited to one room. Too many fragrances will make the buyer feel as though you are masking an unpleasant odor from pets, smoke or musty areas. Have the carpets cleaned and replace any curtains, carpets or rugs that need it. Cozy up your home. Toss warm throws across the sofas and master bed, hang a plush robe in your bathroom and put together a grouping of soaps and washcloths like a hotel or spa. Turn on soft jazz or classical music. Light a gas fireplace or candles if you the timing of the showing permits. Keep it bright. Since daylight hours are minimal during the winter season, take advantage of natural light hours for showings when possible. In addition, wash your windows and leave curtains and blinds open to allow as much daylight as possible to illuminate your home. Turn on all the lights when expecting a showing and use high-wattage bulbs to help with the gray winter days. Protect your home. To keep your carpets and rugs clean during wet and snowy seasons, you may ask potential buyers to remove their shoes or use “booties” to cover their shoes. Buyers will view that positively…that you respect your home and want to keep it clean. If you’re ready to list your home, contact a real estate professional to get you started. And, be sure to contact us for help with your title needs! If you’ve ordered the flowers and bought the card and chocolates for Valentine’s Day, but would like to make plans for you and your Valentine, here are some local goings on for you to consider. Toscana Event Centre is hosting a Chocolate & Wine Tasting on Saturday the 14th from 4 to 6 p.m. This event benefits Anderson Symphony Orchestra and includes chocolates from around the world with delicious wine pairings, hors d’oeuvres and cheeses. Tickets are $35 per person. You’ll receive a complimentary tasting glass when you attend. Call 765.644.2111 or click here for tickets. 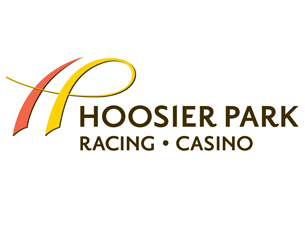 Hoosier Park will feature Comedy Magic with Ken Mate on Saturday the 14th at 10 p.m. Make a date night at Hoosier Park and enjoy this free Saturday Night Variety Show in the Terrace Room. Gallery 119 in Pendleton, located at 119 W. State Street, will be featuring the New Beginnings Art Show all day. Blu Falls, Art from the Heart Valentine’s Dinner/Dance Saturday the 14th from 6 to 11 p.m. Tickets to this semi-formal event are $40 per person and include dinner, dancing, art auction, live music and activities. A 10% discount is given for tables of eight people. The Pendleton Artists Society members and supporters will be donating works or art for the auction. For tickets or information, call 765-778-8548. 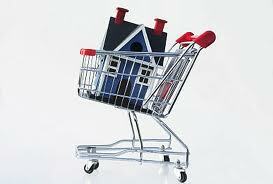 According to recent reports, 2015 has the potential to support home buyer demand with its strong housing recovery. And, the Midwest is leading the trend in balancing the market demand among all housing segments. The low-tier price segment of homes, which was once driven by investors, is key for first-time home buyers. The good news: this low-tier market has sustained national price growth. In addition, move-up buyers are seeing some relief from negative equity in their homes with the rise of home prices. With that gain in home equity, mid-tier homeowners may decide to move up, therefore driving demand in the low and mid tiers of the housing market. That said, the top tier rate of appreciation is stalling; while the low tier is continuing to see double digit gains year-over-year at 10.2 percent. The divide between the healthy low tier and the stagnant top tier could allow traditional buyers a moment to see equity in their homes. This equity may motivate potential move-up buyers to enter the top-tier segment of the housing market; seeing stalled top tier prices as a good deal. In direct correlation, it opens up more opportunity for low-tier homeowners to move up to the mid tier. At the same time, these moves up provide new inventory for potential first-time buyers to enter the housing market. This domino effect could allow balanced demand across all sectors of the housing market this year. Across the nation, we lead the pack in the Midwest with double digit year-over-year gains in the low tier at 13.6 percent and a 3.3 percent drop in the top tier. The Midwest led the nation in the all tier segment and is the only region currently seeing price appreciation in the low and mid tiers. These numbers could be the indicator that the Midwest will be the first region to realize full buyer momentum across all segments of the housing market. So, if you’re considering buying a new home, or a home for the first time, this year may just be “the” year for you. If you’re in the market to buy a home, you are likely aware that the financial crisis a few years ago has led to changes in qualifying for a mortgage. As a result to the downturn in the economy, mortgage lenders were forced to tighten their belts on approving new home loans to prevent foreclosures and the like. These changes have led potential home buyers to be reluctant in their efforts to buy a home, for fear of being rejected. That said, government-backed programs have been added for first-time home buyers with subprime credit scores to get mortgage insured via the Federal Housing Administration. With this, home buyers are able to put down as little as 3.5 percent of the home’s purchase price, rather than the popular theory that the down payment needs to be 20 percent of the purchase price or more. So, what will lenders look at when you’re putting together your loan application? The good news is, that even if your financial health isn’t the best, you may still have options to buy a home. Some banks have lowered the minimum credit scores, or FICO scores, for loans that are backed by the government, the Federal Housing Administration, Fannie Mae or Freddie Mac. There are also alternative lending sources, such as community banks, who use a “common sense” approach to loan approval, which can give hope to buying a home. If you’ve been thinking of buying a home and aren’t sure if it’s “the right time,” contact your Realtor and discuss the pre-approval process. And, when the time is right, we welcome you to contact us. We have been in the business for 125 years…providing title insurance, escrow and closing needs to clients. We work hard to close your home purchase quickly and efficiently, with the utmost attention to detail. We look forward to working with you! If you’re making plans for Valentine’s Day weekend, you should know that Hoosier Park is hosting a free concert with Restless Heart. 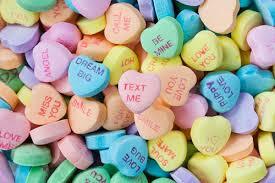 The concert is on Friday, February 13th at 9 p.m. Award-winning Restless Heart is made up of country music stars John Dittrich, Greg Jennings, Paul Gregg, Dave Innis, and Larry Stewart. They have over 25 singles on the charts, with six consecutive #1 hits and numerous awards. Tickets are not required; seating will be first come first serve! Do you ever wonder what it is that we do over here at Rowland Title? Well, it is our job to protect home buyers when buying a home. For example, as a homeowner, you have the option of two types of title policies. 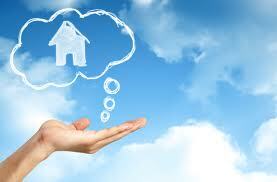 Typically, a mortgage lender will require a lender’s title insurance policy, which protects the mortgage on the home. As the buyer, you also have the option to an owner’s title insurance policy. This policy protects your financial investment in your home. Title insurance financially protects you, as the homeowner, from having to pay any legal fees and claims that weren’t discovered during the title search in your home purchase. This could be something like the previous owner of your home owing back taxes or compensating a missing heir from a previously unknown interest in the home. It also includes any fraudulent or a forged signature on the home’s deed. Lastly, for a one-time fee paid at closing, you are covered by the policy as long as you own the home. The owner’s title insurance policy protects you, as the home buyer, from any undiscovered defects in the title. If you are looking to buy a home and have questions, contact us! We look forward to working with you. Shake off the winter blues and go to the State Fair Grounds for the 2015 Indianapolis Home Show. The Home Show is now through this Sunday, February 1st. Get inspired to kick off some interior design and renovation projects, soak in the sights of summer with lush landscaping in several areas of the show and even tour the centerpiece home within the show! The “Greenery Galore!” exhibit includes 25,000 square feet of landscaping and garden features with beautiful flowers from roses to dahlias and jasmines. Also, warm up in the 80-degree Butterfly House! The centerpiece home, by Fischer Homes, features the Paxton design with a Coastal Classic elevation. The home boasts more than 4,000 square feet, excluding the basement, with four bedrooms and three-and-a-half bathrooms. The home is a brand-new design, and has an East Coast feel, with an open main floor design for entertaining. Click here for the schedule on celebrity guests and experts at the show. Hours are 11 to 9 on weekdays, 10 to 9 on Saturday and 10 to 6 on Sunday. Adult tickets are $14 (or only $12 when purchased online) and $3 for children ages six to twelve. Children ages five and under are free. Click here for the 2015 Indianapolis Home Show website for all of the details to get you inspired in and around your home!